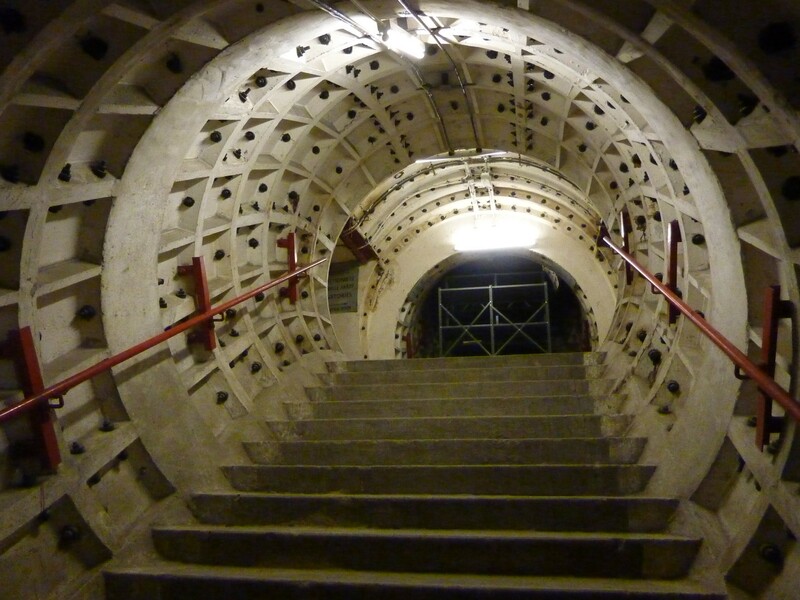 We all know there are tube train tunnels under London’s streets, and we could guess there are some service tunnels for pipes, but it’s still always a surprise to head down underground and find enough space for a village to live safely below. And that’s what there is at the Clapham South Subterranean Shelter. This deep-level shelter had room for 8,000 people, and it only took around a year to build. 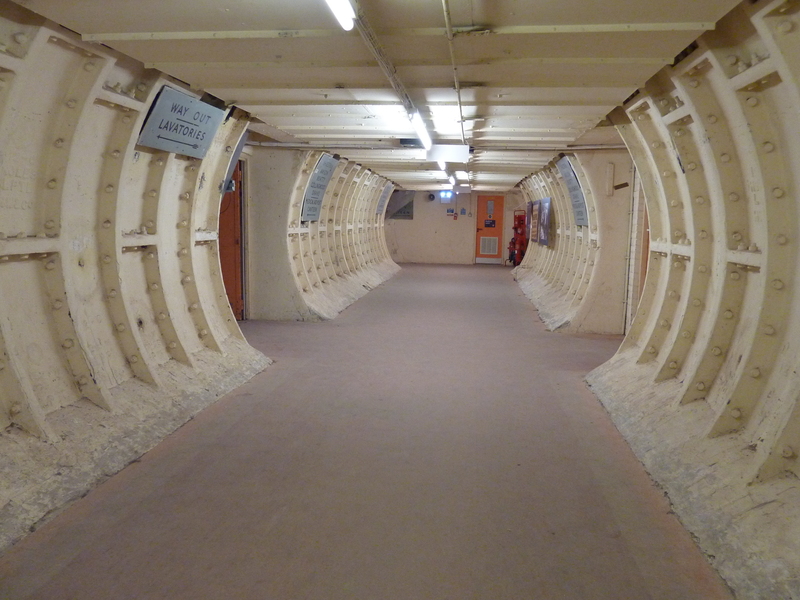 This isn’t an unused transport tunnel, although it is managed by Transport for London. No, this was a purpose-built civilian shelter. During the daily bombing of the Blitz in 1940, the desperate need for deep-level shelters was highlighted by bombs hitting streets and going right down to the tube tunnel level resulting in huge loss of life. 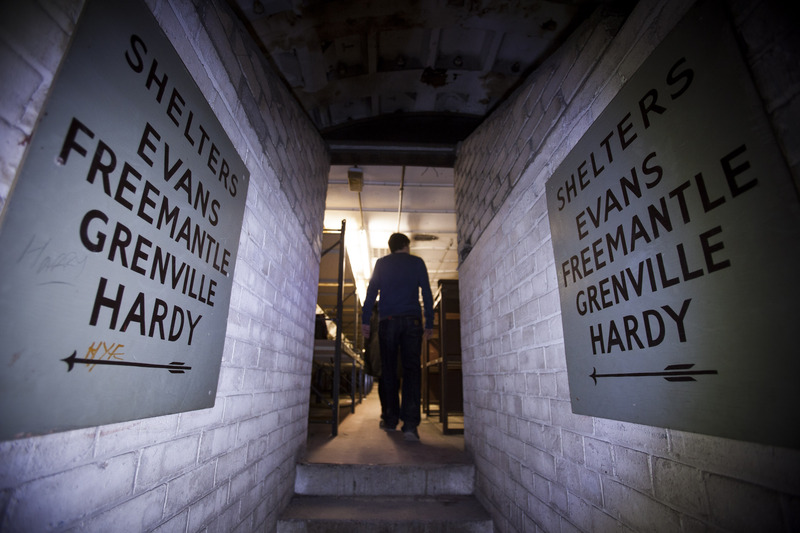 People protested wanting shelters to be at least 60ft below ground, so the government instructed London Transport to build ten underground shelters. Five were planned for north London and five for south London and all to be around 30m / 100ft below ground level. It was no coincidence that the shelters were along the Northern line (and Central line) route as London Transport had already surveyed the area as part of the New Works Programme for a planned Northern Line express route. Construction started within weeks, and eight shelters were completed by 1942 (two were started but not finished). 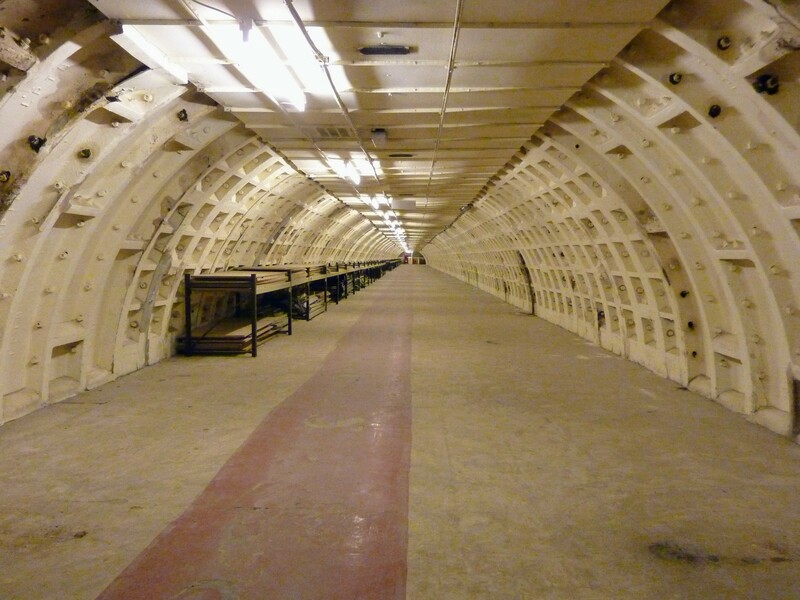 The tunnels for the shelters were built using similar techniques to those used for London Underground. Incredibly, these tunnels were hand dug by men living on rationed food amounts. Two vertical shafts were first dug, then the miners created two cross passages, and finally, the main shelter tunnels were dug out. The ‘pill-box’ shafts for this shelter can be seen on Balham Hill and Clapham Common. Looking closely at the cast iron tunnel shield sections we could see they were from different dates. While concrete was used for these tunnels as well, cast iron was a rationed commodity, so they had to use whatever was available. The excavated spoil was piled up on Clapham Common and was later used for cricket pitches at Regent’s Park. Each main shelter tunnel is around 400m /1,310ft in length and is divided in half to create an upper and lower level. This gives four sub-shelters. Each of these is then divided into four to give a total of 16 sub-shelters. As the area below ground was so vast, the sub-shelters were given themed names. Here they were named after naval commanders in an alphabetical order. 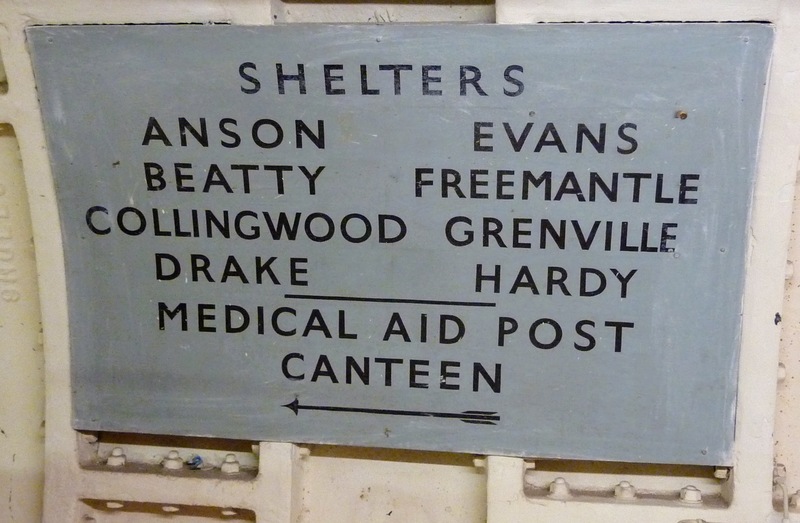 I visited ‘Hardy’ which is the longest and straightest of the sub-shelters. There was room for 500 bunks here. As the circular tunnels were literally divided in half, it was interesting to see the bed legs had to bend to accommodate the curve of the walls. 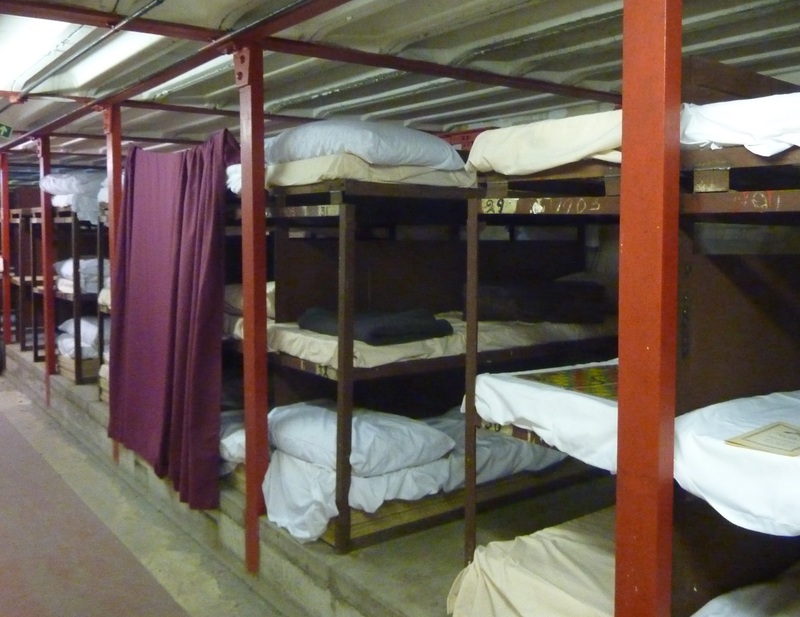 The shelter was open from 7 pm to 7 am and people were allocated a bed number as they arrived, so each bed was reserved. A family was allocated a bay of triple-tiered bunk beds, and children who stayed here commented that they felt safe and loved the freedom they had to explore the shelter. There were two medical rooms staffed by a doctor and head nurse and divided into three sections: Reception, a private consultation area and five beds at the back. All medical care in the shelter was free which was another way to ensure the public came down as the NHS wasn’t founded until 1948 so many couldn’t afford doctor appointments. 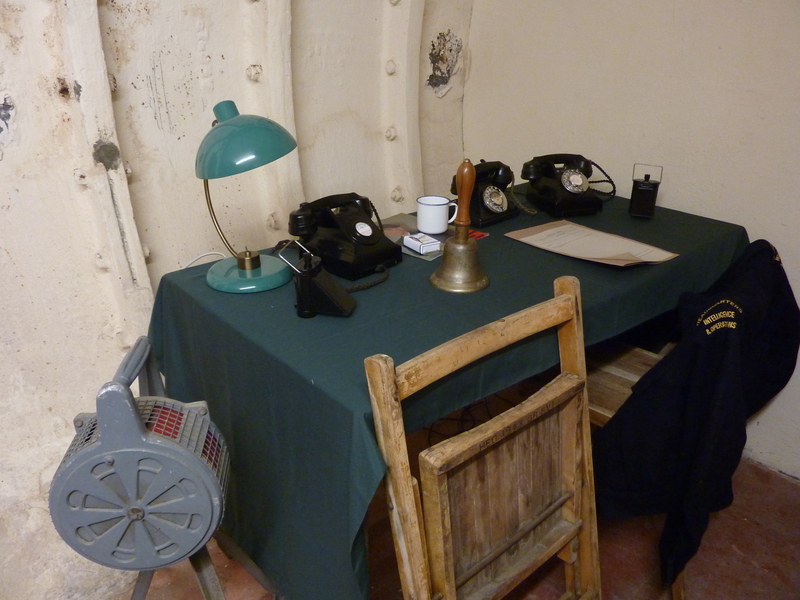 There was, and still is, excellent ventilation in the shelter and people who stayed here during WW2 commented on how it was always cold and breezy. There were eight canteens in this deep-level shelter, and all food here was off-ration which must have been a huge encouragement to go down during hungry times (although prices were higher than elsewhere). The morale of the children was boosted by the jam tarts on offer. The shelter kept three days worth of food and had its own water supply. It also had a 3,000-gallon reserve water supply at ground level. In case you’re wondering about bathroom facilities, there were chemical toilets that had to be emptied into a slop hopper which could hold five days of waste. Keeping morale high was as important as keeping control. A public address system was used, and music was played every evening for dancing. During WW2, these link stairs connected directly to the platform at Clapham South tube station giving those sheltering underground the shortest commute to get on their way to work each morning. But there is no point looking for signs of the stairs within the tube station now as it has been sealed for many years. These were a type of propaganda as while the shelters were very good it was all about showing the world that our people were protected. And it helped to show the men fighting for their country that their loved ones back home were safe. After the war ended, there was still a terrible accommodation shortage in London. Some who had been made homeless continued to live down here for another year. The shelter was also used as a cheap hostel for visitors to London for many years. 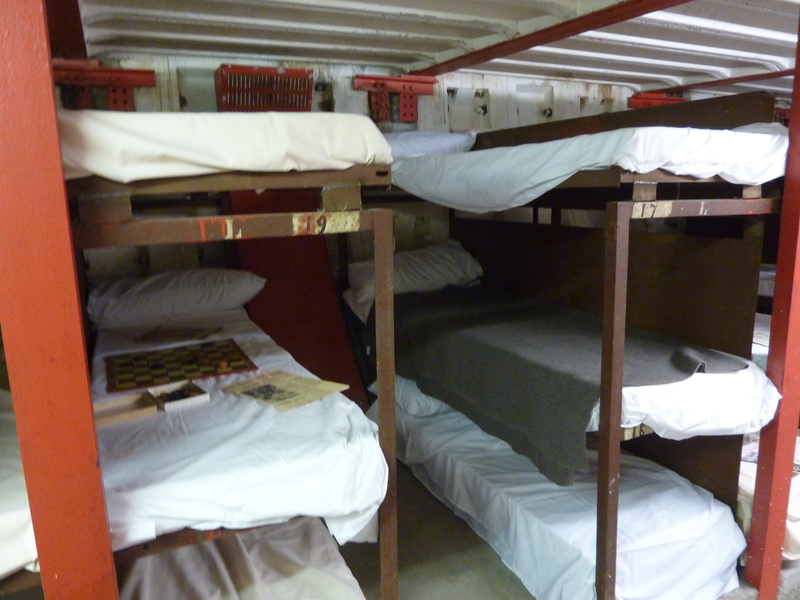 The beds were spread out to give more space, and only two instead of three bunks were used for paying guests. 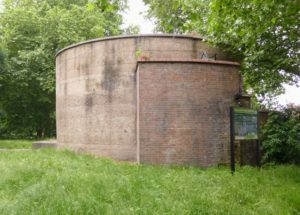 The Clapham South deep-level shelter has a strong connection to another major event in Britain’s history. 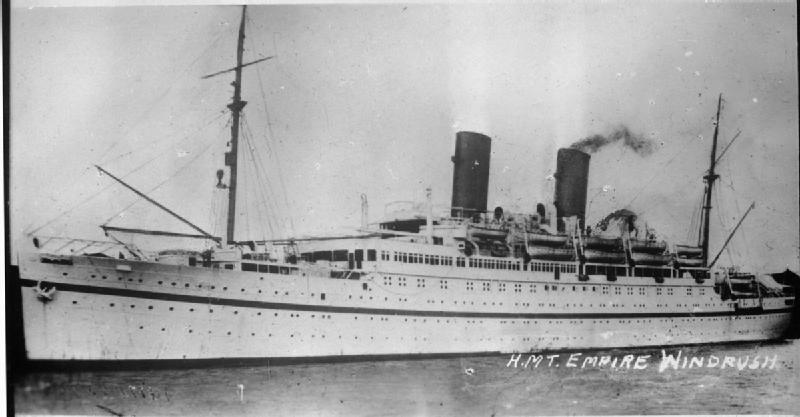 This year, and actually this month, is 70 years since the merchant vessel Empire Windrush arrived in London. 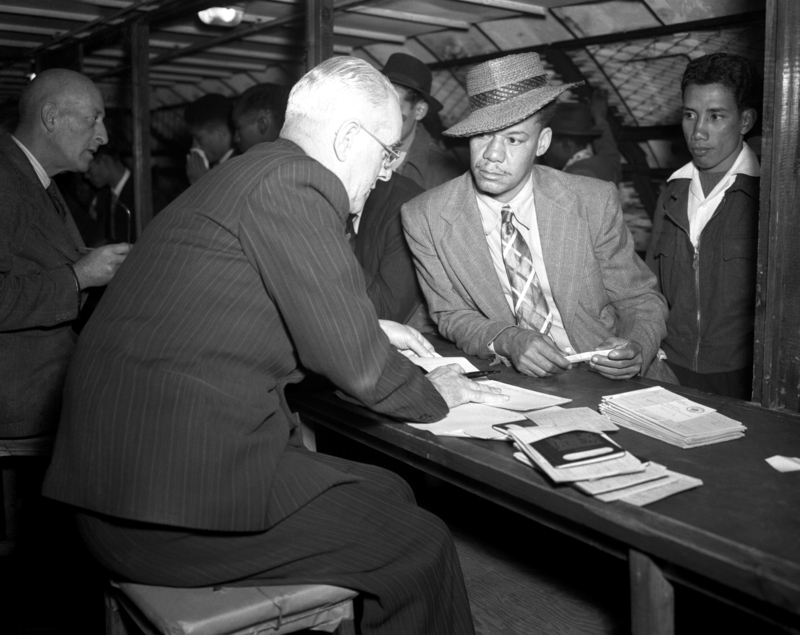 The passengers on board the Windrush from the Caribbean were invited to come to Britain after World War Two, to assist with labor shortages. 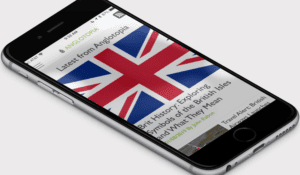 The British Nationality Act 1948 had just been passed, giving the status of citizenship of the United Kingdom and Colonies (CUKC status) to all British subjects connected with the United Kingdom or a British colony. Prior to 1962, the UK had no immigration control for CUKC status so they could settle indefinitely in the UK without restrictions. Most of the passengers were ex-servicemen seeking work. Very few of the migrants intended to stay in Britain for more than a few years. The ship had made an 8,000-mile journey from the Caribbean to London with (officially) 492 passengers on board from Jamaica, Trinidad and Tobago and other islands. They arrived at Tilbury Docks in Essex on 22 June 1948. While many passengers had organized some sort of job and accommodation for themselves beforehand, there were 236 Caribbean passengers who needed to be housed when they first arrived from the former British colonies. 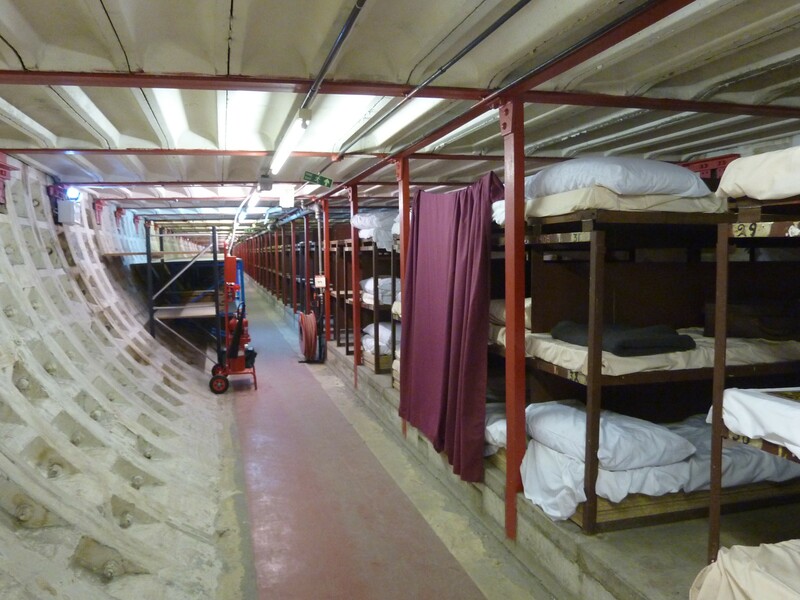 These passengers were brought to stay at the Clapham South deep-level shelter as it was operating as a hostel and had space for lots of new arrivals. 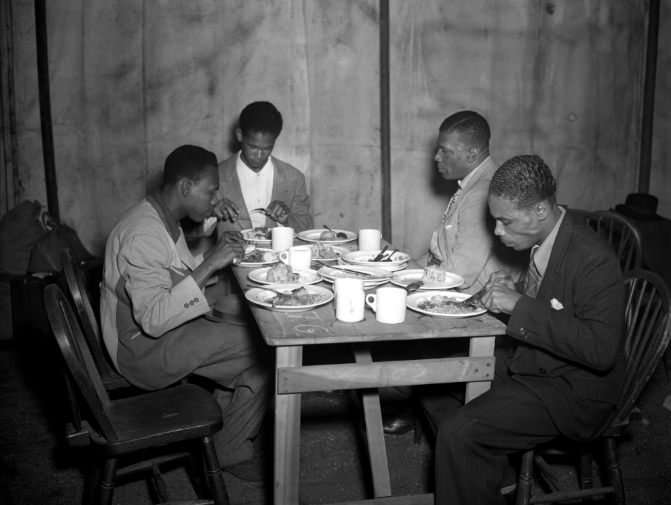 There was no segregation, and the Windrush passengers were free to explore the shelter and meet others staying there as paying guests. This short-term residential base became their first British home while looking for work. Within four weeks of arriving all the Windrush migrants had moved out of the site. Although this enthusiastic workforce staying at the shelter did not come to the UK with a job at London Transport already organized, some of these newcomers did go on to find employment at London Transport. 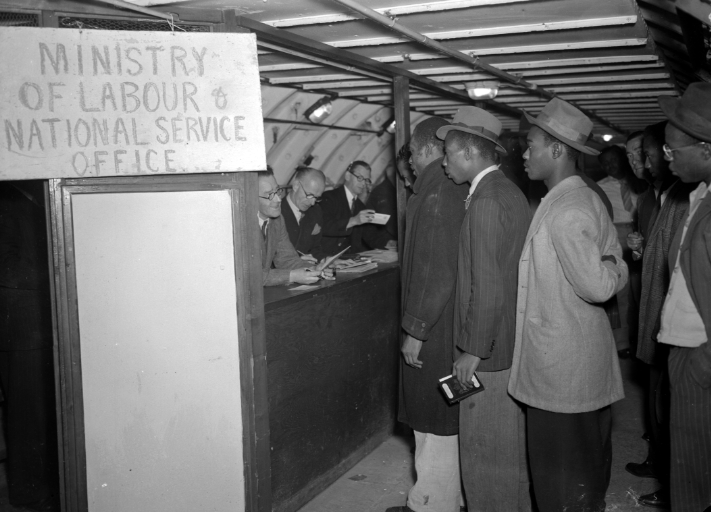 In fact, a great number of Caribbean people were invited by London Transport to come and work on London’s public transport system, when it began a big recruitment drive in the Caribbean in February 1956. 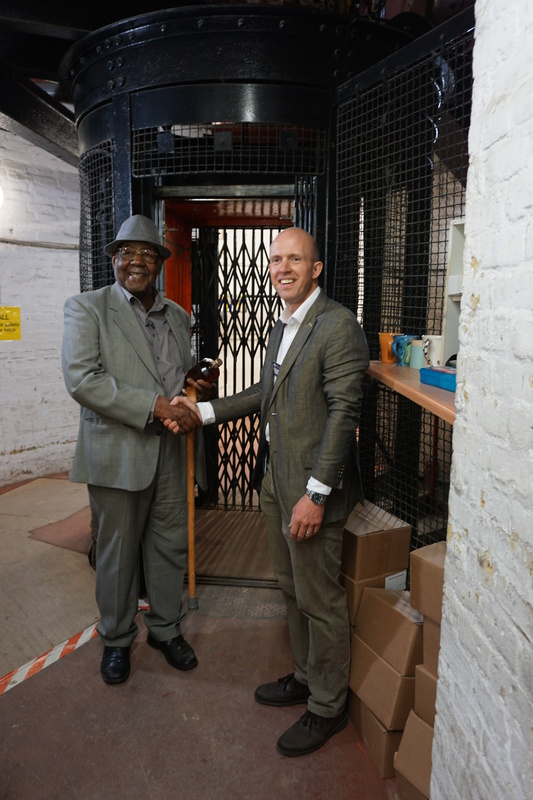 London Transport Museum, in partnership with the Windrush Foundation which highlights African and Caribbean peoples’ contributions to the UK, recently invited Mr. John Richards to return to Clapham South deep-level shelter. 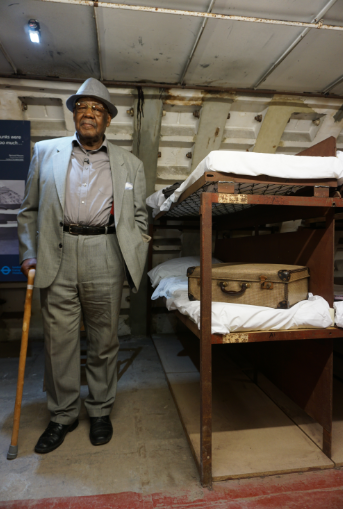 Now aged 92, he lived here for three weeks when he first arrived in London after the Empire Windrush ship had docked at Tilbury. Mr. Richards was a young man when he arrived in London in 1948, and he still has warm memories of his time here even though living conditions were basic. 70 years on he remembered the strong sense of community and the ‘alarm clock’ tube train noise above. “The trains that ran overhead in the morning woke me up. There were beds all around with crisp white sheets. They had a tea cart at the station… pie in the evening,” said, Mr. Richards. After leaving the Clapham South shelter, Mr. Richards moved to a hostel and then found work at British Rail. “I survived because friends know friends. It was hard, but in the long run, you find a way,” said Mr. Richards. 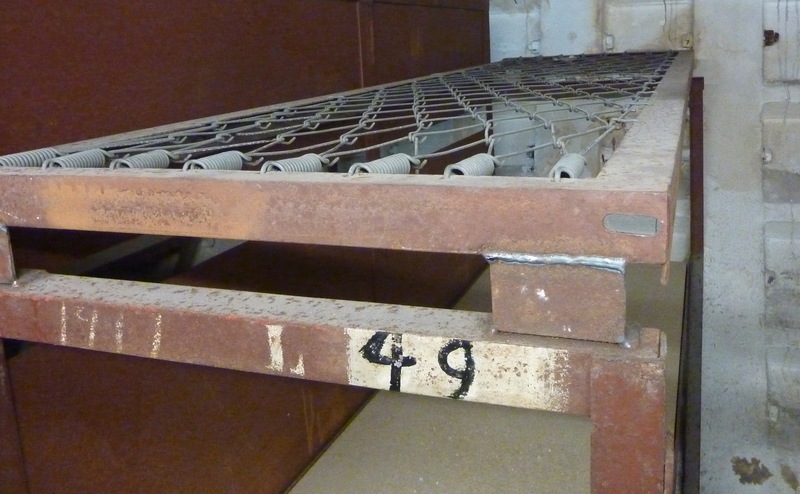 After 1956 this shelter was deemed unsuitable for human habitation, so it was used as a government archive storage until 2008 as it was a large, dry, secure space. 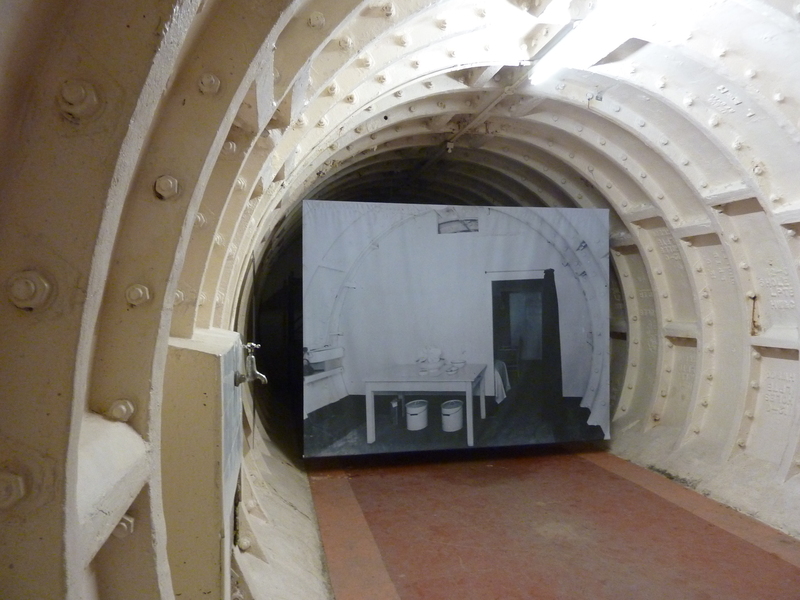 This deep-level shelter is now back in the hands of Transport for London, and they plan to use it as a cultural site. 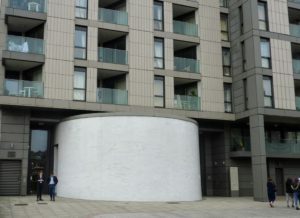 The pill-box at ground level has permission to become a restaurant. The nearby shelter at Clapham Common is used for growing salads and micro-herbs which are the sweetest and juiciest you could hope for, I’m told, and are totally organic as they do not need any pesticides. After telling you all this, I expect you would really like to know how you could visit too. Tickets are on sale for tours on Wednesdays to Sundays in August and September (last date: 16 September 2018). Tickets for adults cost £38.50 and concessions are £33.50 (+ £1.50 booking fee per transaction). The area at this shelter is so vast, with over a mile of subterranean passageways, it would take three hours to see it all. I was lucky to get a private tour that took just over an hour, and I only saw about a quarter of the deep-level shelter. The public tours last around 75 minutes. 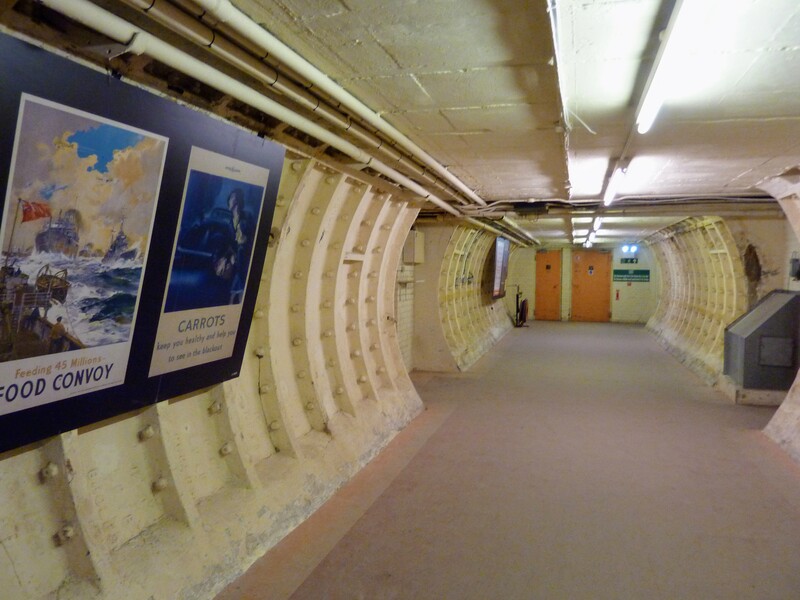 This is just one of the seven Hidden London tours offered by the London Transport Museum. 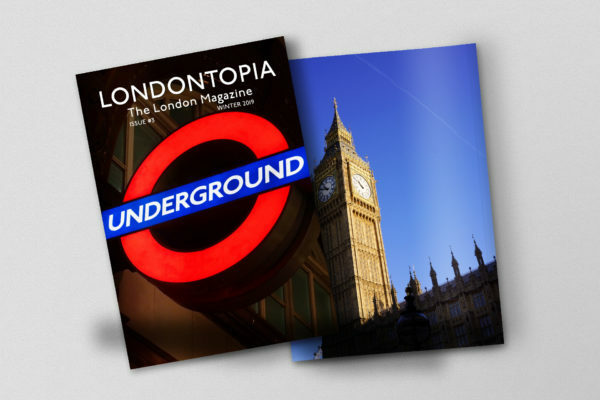 (Do see the 2nd issue of the Londontopia magazine to get an in-depth look at the hidden tunnels at Charing Cross – yes, I did walk under Trafalgar Square!) 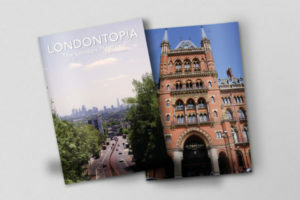 Each Hidden London Tour looks at somewhere unusual that you wouldn’t otherwise get to visit and always includes the interesting human stories at each site too. 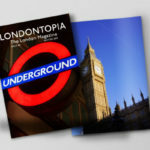 Ticket holders also get a half-price day pass to the London Transport Museum (to be used within one month) and a 10% discount on all merchandise at the London Transport Museum, including online shopping. You can see more photos of the Clapham South deep-level shelter on the Subterranea Britannica site here, here, here, and here. Windrush: Portrait of a Generation is a photography exhibition at gallery@oxo which is closing on Sunday 10 June 2018. 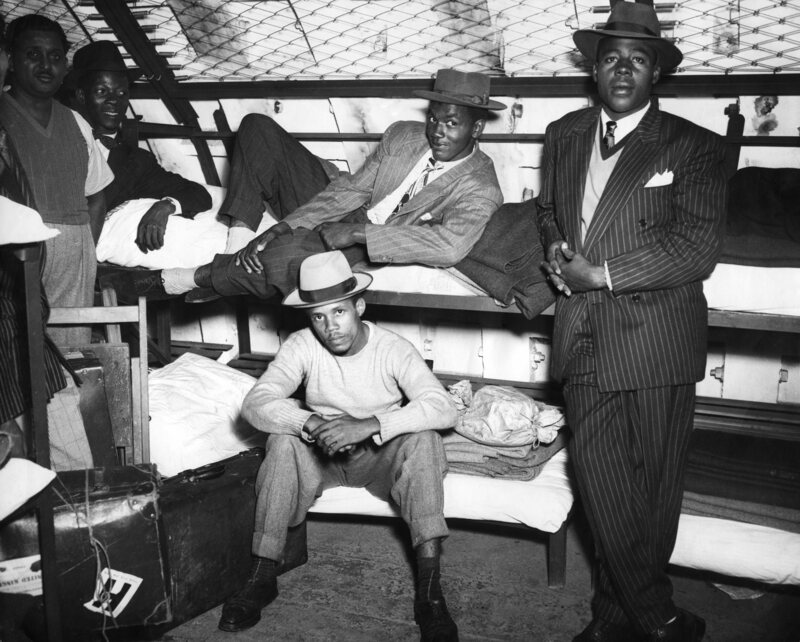 Windrush: Songs in a Strange Land is a free exhibition at the British Library on until 21 October 2018. Arrival: celebrating Windrush is an all-day event at City Hall on Saturday 30 June 2018. The Migration Museum will be there with boat-making workshops. 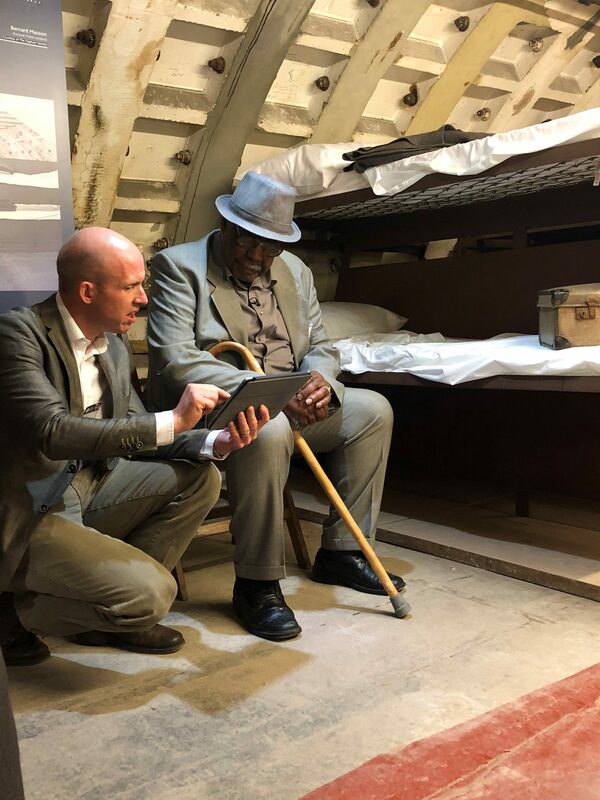 The Museum of London Docklands also has a permanent exhibition that included the arrival of the Windrush.